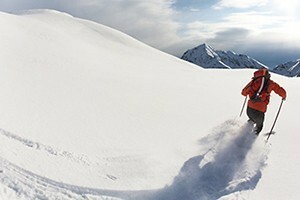 Five regional ski resorts offer a variety of terrain, snow conditions, and non-skiing activities. 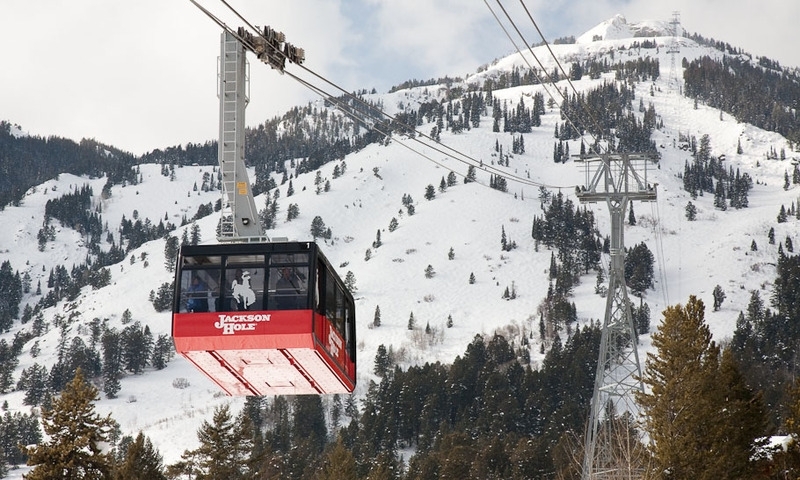 Ski Jackson Hole, and then visit nearby resorts like Snow King, Grand Targhee, Big Sky, and White Pine. With a vertical rise of 4,139 feet, 2,500 acres of inbounds terrain, and backcountry access, skiing Jackson Hole is an experience of a lifetime. The resort is open for the winter season from Thanksgiving through early April and is located in Teton Village. Peak season adult lift tickets cost $135 (buy online because window pricing is $149). Conveniently located in Jackson on E. Snow King Ave., Snow King Mountain is a small, but steep, ski area and a good choice for convenient skiing in town. Night skiing, a snow tubing park, and even a mountain coaster offer endless fun. The mountain opens in early December and closes in late March. Lift tickets are more affordable, $55 for an adult full day ticket. Now that Big Sky and Moonlight Basin have combined terrain to form one giant Big Sky Resort, it might warrant the perfect day trip from Jackson. Open for winter from Thanksgiving through late April, Big Sky Ski Resort is the largest ski area in North America, with over 5,700 of skiable acres and a 4,350-foot vertical rise. A day on the slopes costs $139. Located in southwestern Montana, Big Ski is roughly 3 hours from Jackson. Marked by its epic snow accumulation and family friendly atmosphere, Grand Targhee rises to 2,592 vertical feet and is a popular spot for powder hounds! Jackson Hole Wyoming skiing can be intimidating, but Targhee is a nice alternative, with many intermediate runs. Targhee's winter season runs from Thanksgiving through mid-April and lift tickets cost $85-$90 for an adult full day. Targhee is 42 miles northwest of Jackson in Alta, WY. With a vertical drop of 1,100 feet, 25 downhill trails and a plethora cross country trails, White Pine is a low key winter destination. It is open in winter from mid November through early April. The cheapest of the 5 resorts, daily lift tickets are $48 for an adult full day. It is located 88 miles south of Jackson and 10 miles outside of Pinedale, WY. If you have Colorado skiing plans, visit our Beaver Creek & Vail resort site. Offering information on trails, safety, and responsibility when recreating in the backcountry. 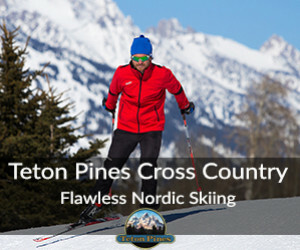 Telemark skiers can improve their skills and learn about race locations. Vacation and skiing information for Telluride Ski Resort in Colorado. Head down to Northern Colorado for more powder! Ski information for Vail Resort in Colorado.